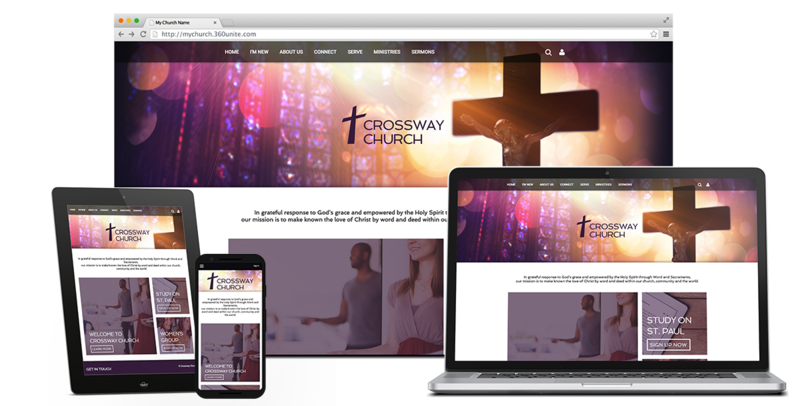 Build a dynamic church website today. Church360° Unite is easy church website builder software that gives you the tools you need and the flexibility you want to build the website you’ve always envisioned—no matter what your experience level is. Choose from twelve professionally designed, mobile-responsive themes. No coding required! Use predesigned elements to keep content looking consistent. You also can edit the HTML and CSS to create custom headers and scripts. WYSIWYG editor makes it easy to add and edit content. Custom privacy settings allow you to choose whether each page is visible to web administrators, members, or everyone. Create multiple calendars and choose each one’s privacy settings. 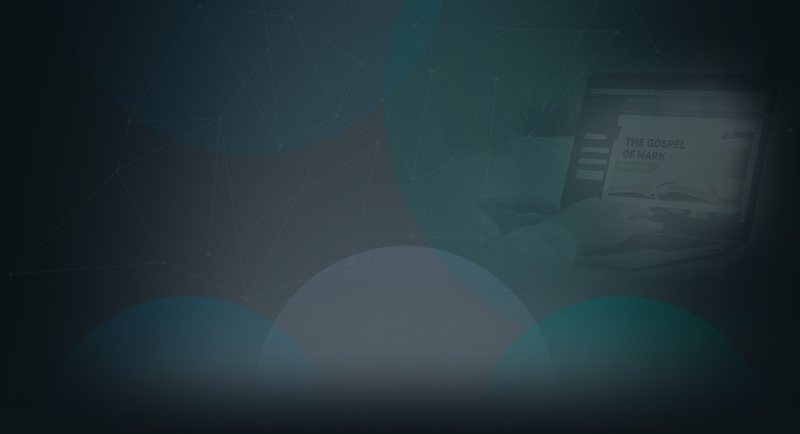 Keep track of who is coming to each event by asking users to RSVP through the calendar. 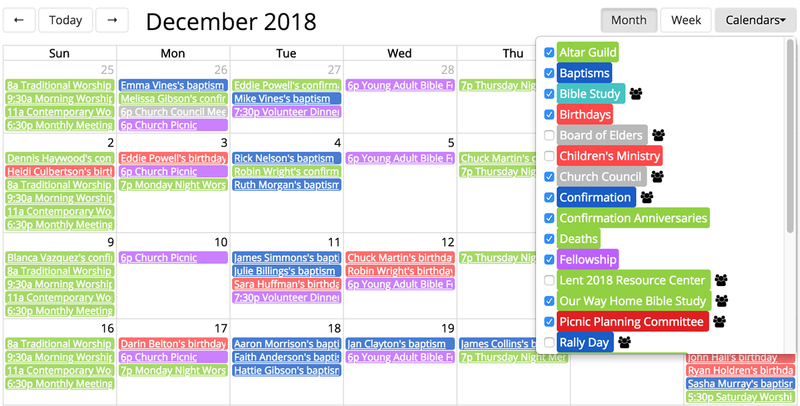 You can even set a reminder for each event. 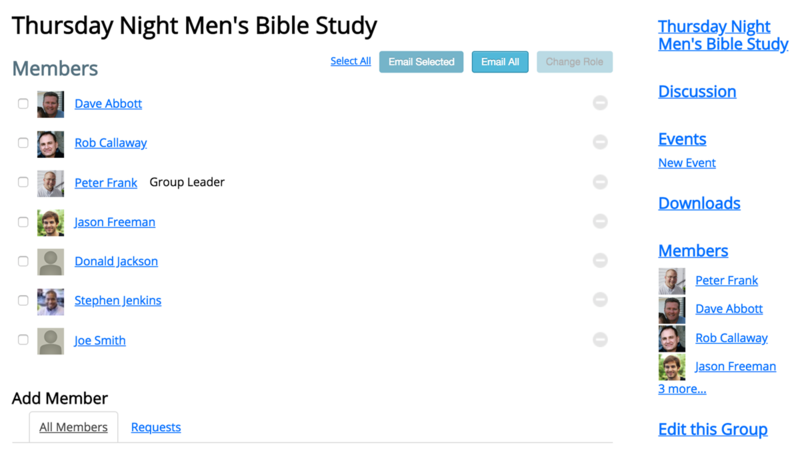 Groups are custom pages where discussion boards, Bible study notes, photos, and more can be housed. Set a leader for each group and give access to manage the group’s calendar and participant list. Enjoy the flexibility of making your directory available online; it will remain completely secure because only invited members will be allowed to view it. 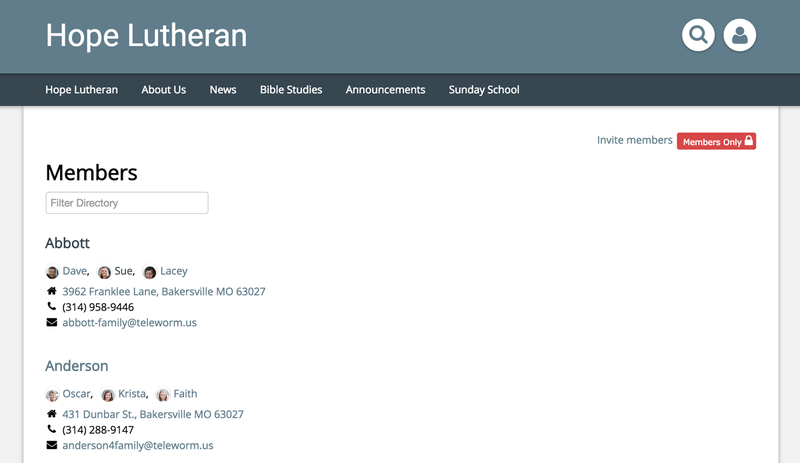 Keep the church’s records up to date by allowing members to update their own info and syncing with Church360° Members or Shepherd’s Staff.